Closing date for entries: Fri 6th July, Noon. Max 2 entries per person, no backlinks. The winners of Week 24 are at the end of this post. Scatty Jan For my card today i have used Work & Play 12, using the cute little digi Fast Food Waiter, perfect for any fast food lovers. 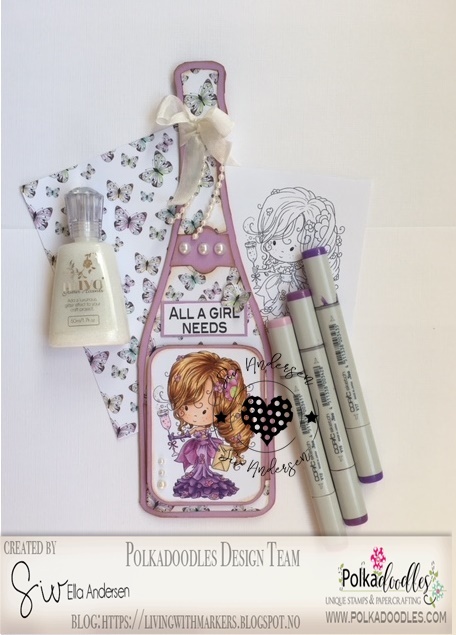 Everything used came from the collection (apart from the Nuvo drops in the flowers) . He has been cut out a few times so I could decoupage him up. 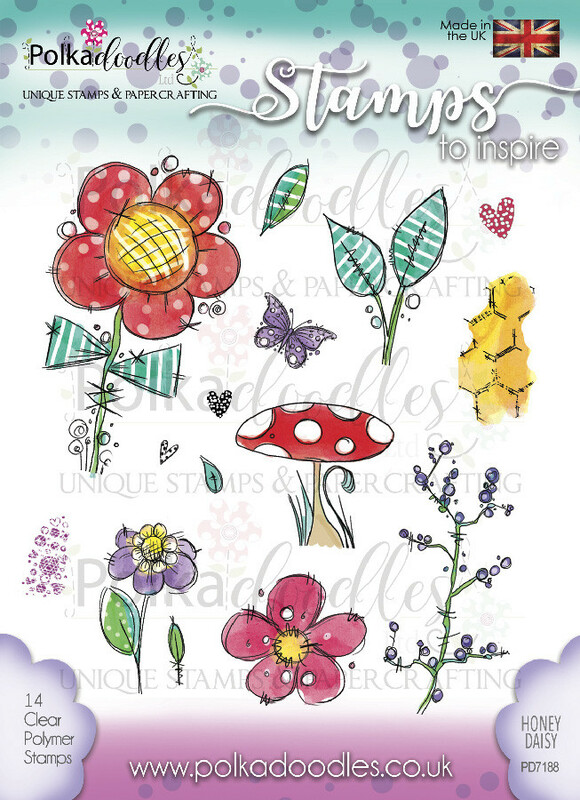 Andrea - It's bright, bright, bright today!I used this beautiful precoloured digi stamp from the Winnie Fruit Punch digi download bundle and the papers and sentiment were from the Winnie Celebrations 1 digi download bundle. 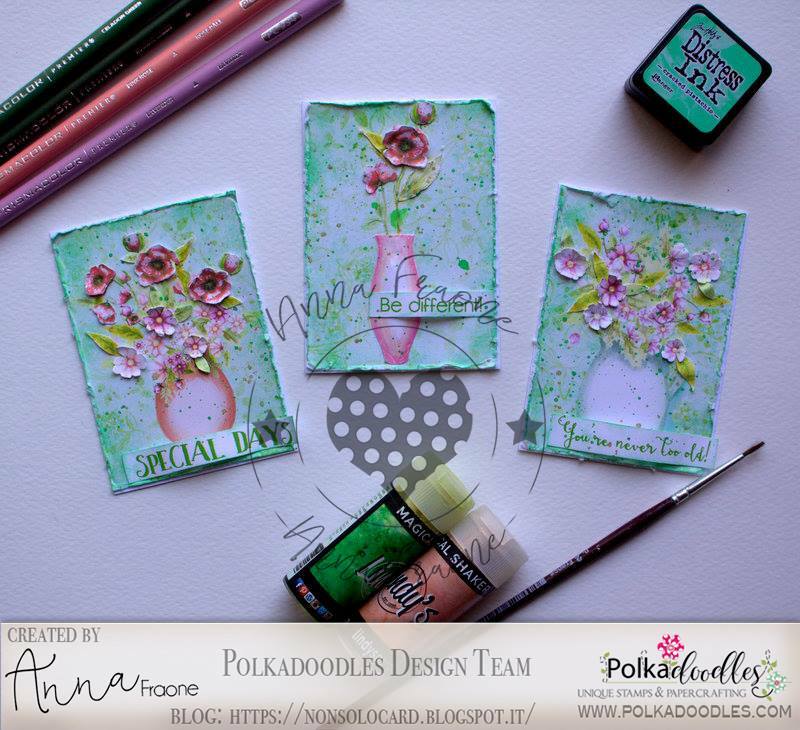 Siv: Today we all go for bright colours! My choose is red and yellow. 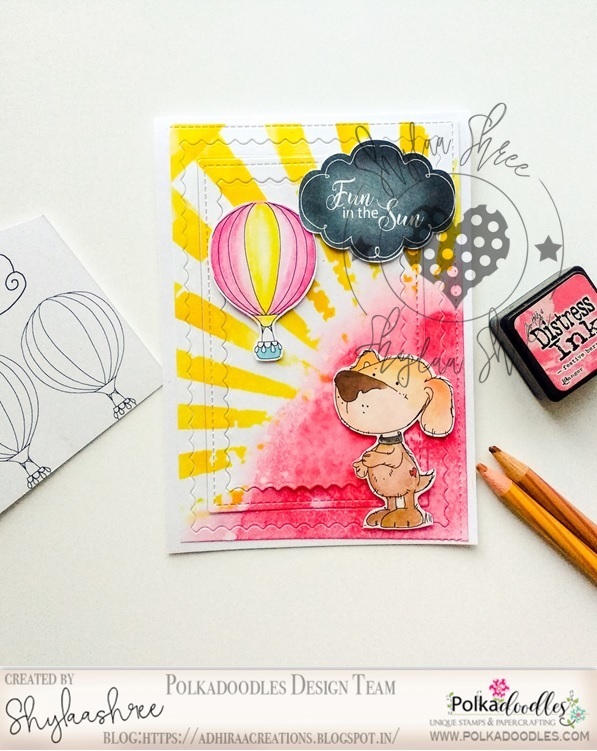 I have used the adorable "Treetop fun" from Winnie Fruit Punch. 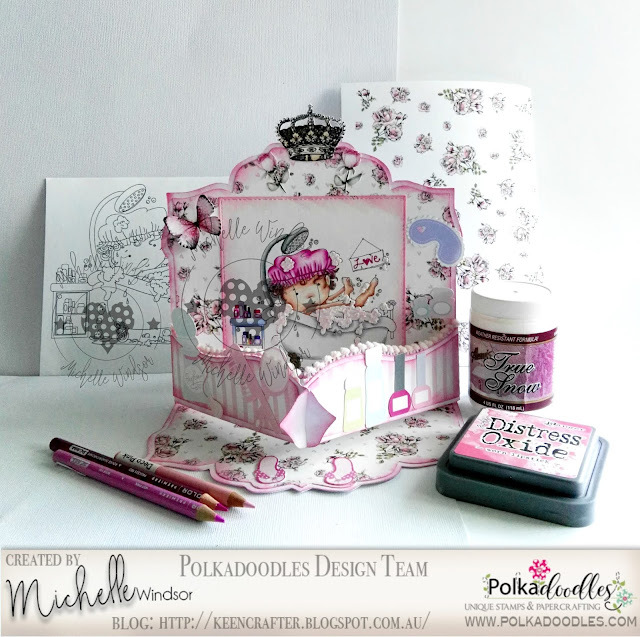 The digipapers are also from different Polkadoodles Collections.
" 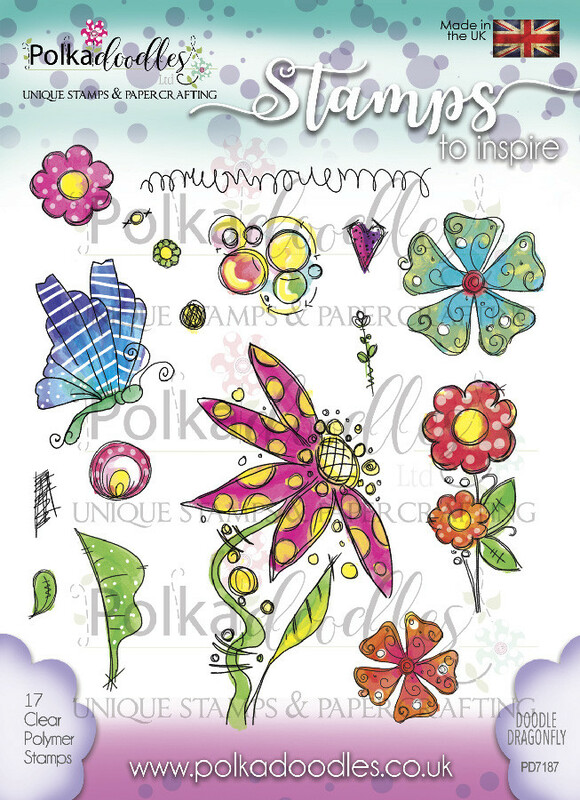 Paper Heaven 1Winnie Special Moments" & "Word Art Winnie Special Moments"
Pam - This week's theme is bright colors! I have used Bella Bear Bouquet from the ADORABLE Fuzzy Puffs collection. I created a little frame for this little cutie out of a bright coral red. The paper is from the Winnie Special Moments collection, Paper Heaven 2 and Paper Heaven 3. The sentiment is from the Horace & Boo collection. 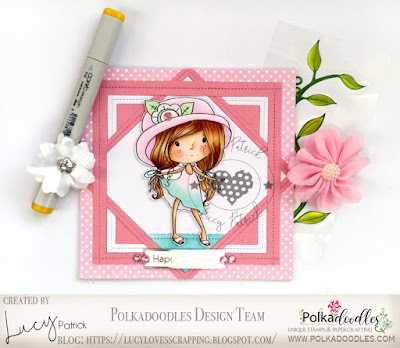 Carol - for this week I've coloured in Dahlia from the Darling Buds and used some background paper and a sentiment from Winnie Starfish and Sandcastles collection. Please email us HERE, quoting the following code PD0wk24001 to claim your prize of $10 worth of downloads from the digi store. Claims must be received by 13/7/18, please refer to Challenge rules at top of blog. Please email us HERE, quoting the following code PD0wk240123 to claim your download voucher from the digi store. Closing date for entries: Fri 29th June, Noon. Max 2 entries per person, no backlinks. The winners of Week 23 are at the end of this post. 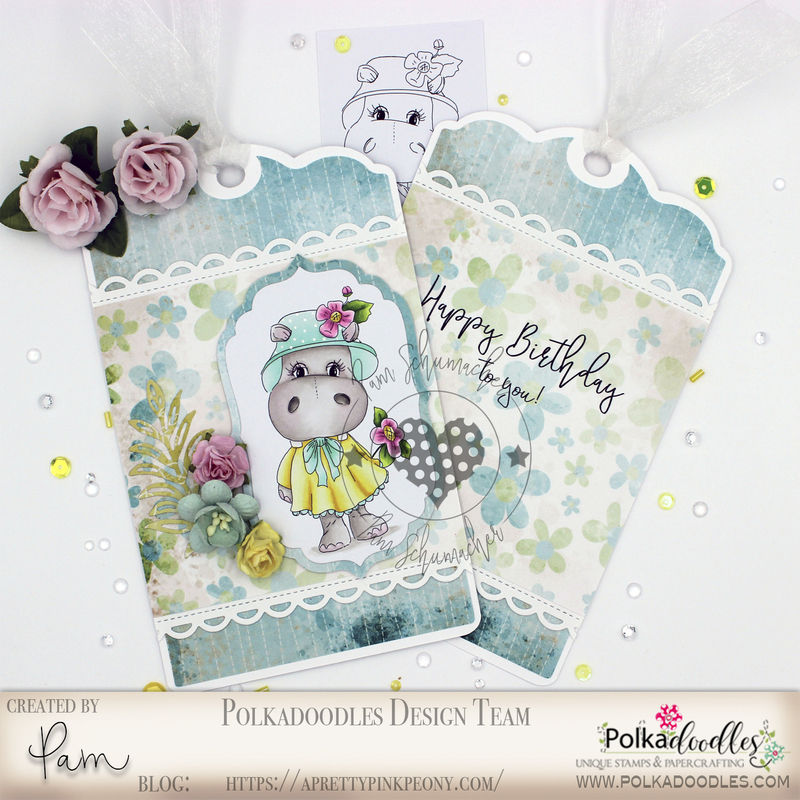 Norma I love pastel colors, for these card I used the paper from the Belle Papillon Collection, the banners from the Helga Hippo Collection and the digi called Miss Pretty from the Lil Miss Sugarpops collection and yes, they all function together! 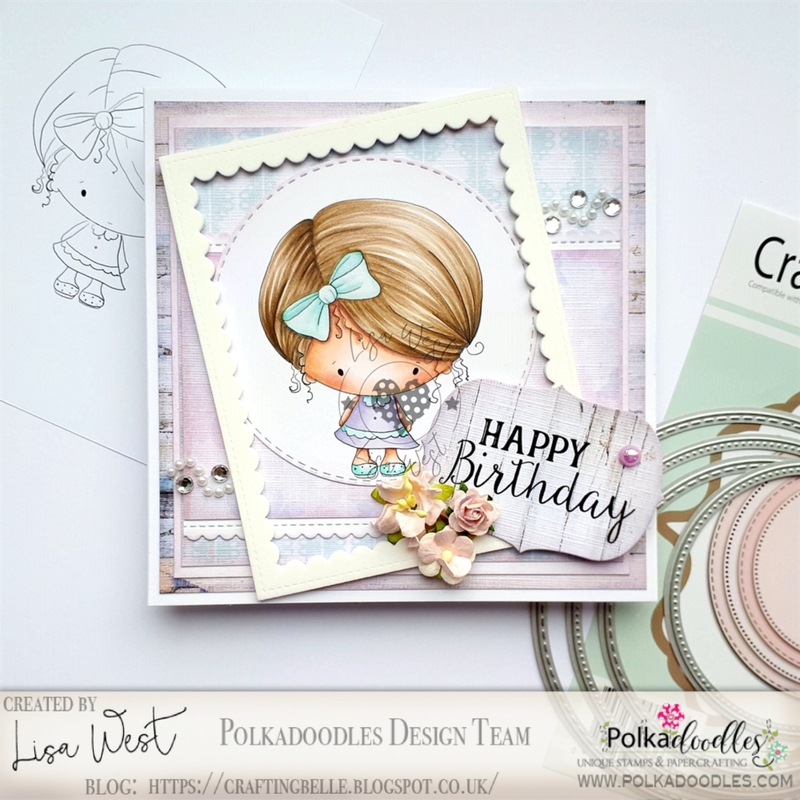 Lucy - I have used a gorgeous image from Winnie Special Moments and papers from Winnie Celebrations 1 for my card. Please email us HERE, quoting the following code PD0wk23001 to claim your prize of $10 worth of downloads from the digi store. Claims must be received by 6/7/18, please refer to Challenge rules at top of blog. Please email us HERE, quoting the following code PD0wk230123 to claim your download voucher from the digi store. Closing date for entries: Fri 22nd June, Noon. Max 2 entries per person, no backlinks. The winners of Week 22 are at the end of this post. Ruth: I've made this cute birthday card for a little boy who will be turning two in a few months. 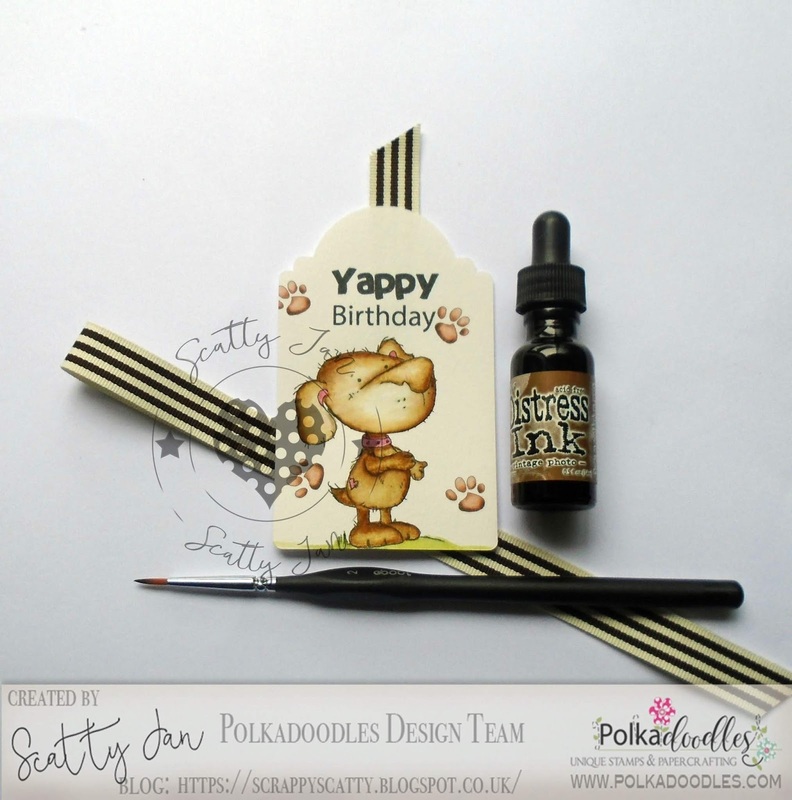 I've used Dragon Onesie from Little Dudes and teamed it with papers from Sticks and Bones. 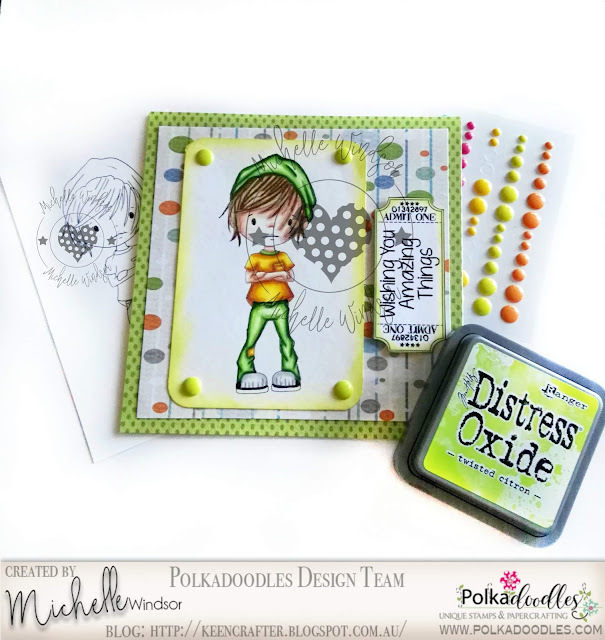 which includes tunnel card templates, design sheets, images, sentiments and embellishments! 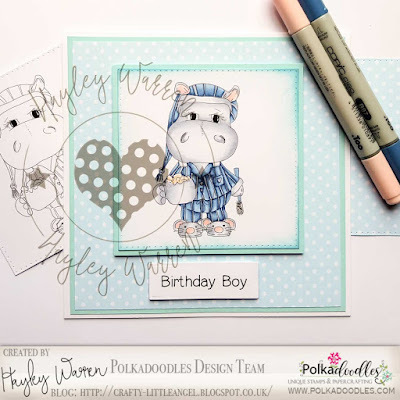 Pam: I have created a two sided tag using the most adorable little Hippo called 'Helga Hippo - Flower Girl'. 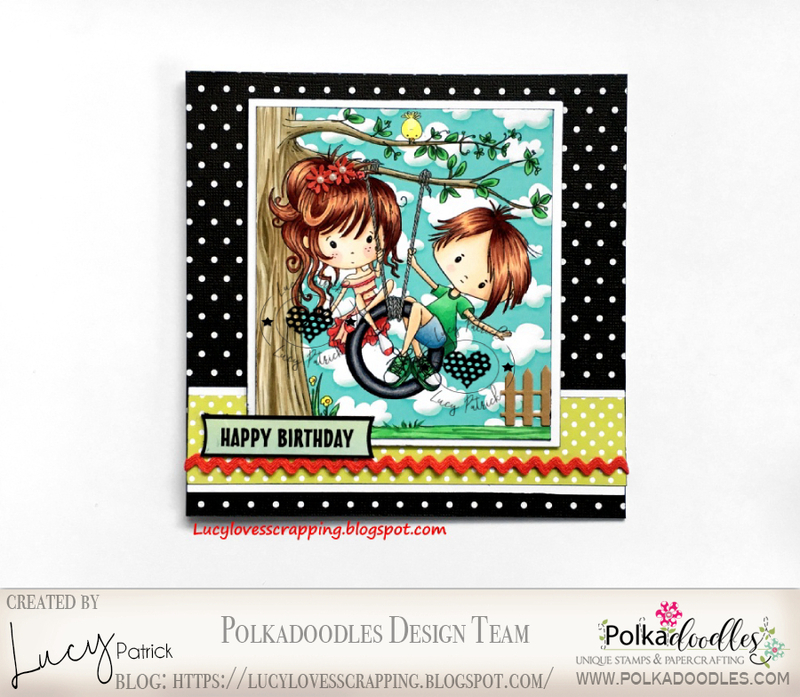 I paired her with the really sweet paper from the Horace & Boo collection. The sentiment is from Winnie Celebrations 3. Andrea - I do love a star card! 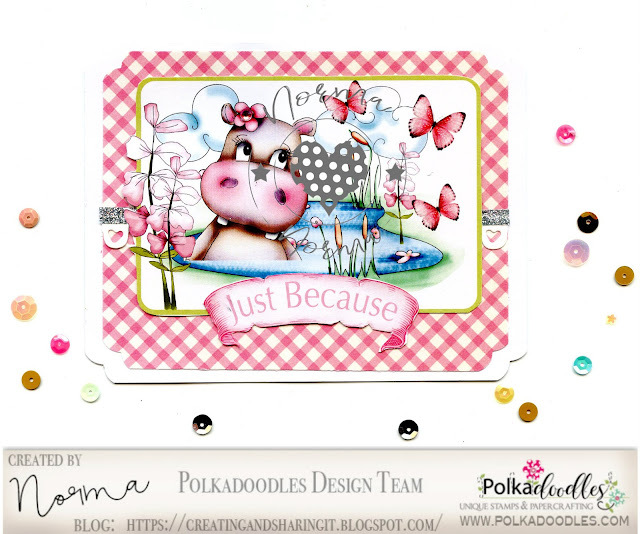 I used this fabuloso precoloured digi stamp from Polkadoodles called Rocket Boy and added 2 fab designer papers and the sentiment from the same bundle. 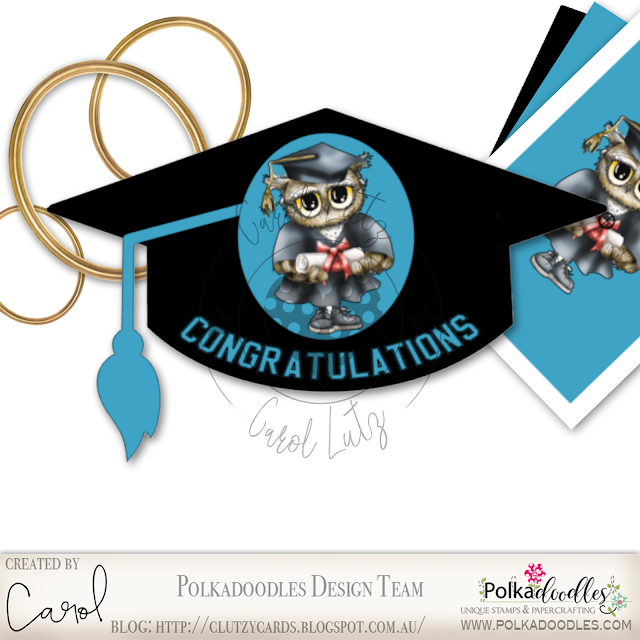 Carol - Here is my Happy Graduation card featuring the pre-coloured Graduation Day from the Twiggy and Toots Collection. Please email us HERE, quoting the following code PD0wk22001 to claim your prize of $10 worth of downloads from the digi store. 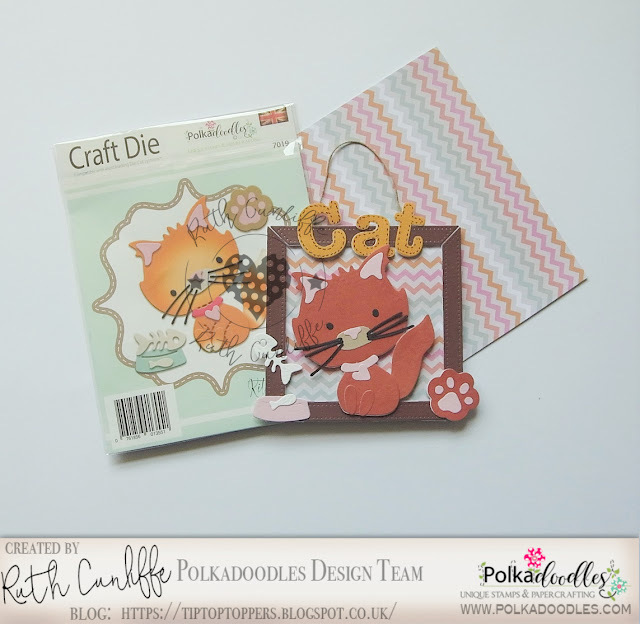 Claims must be received by 29/6/18, please refer to Challenge rules at top of blog. 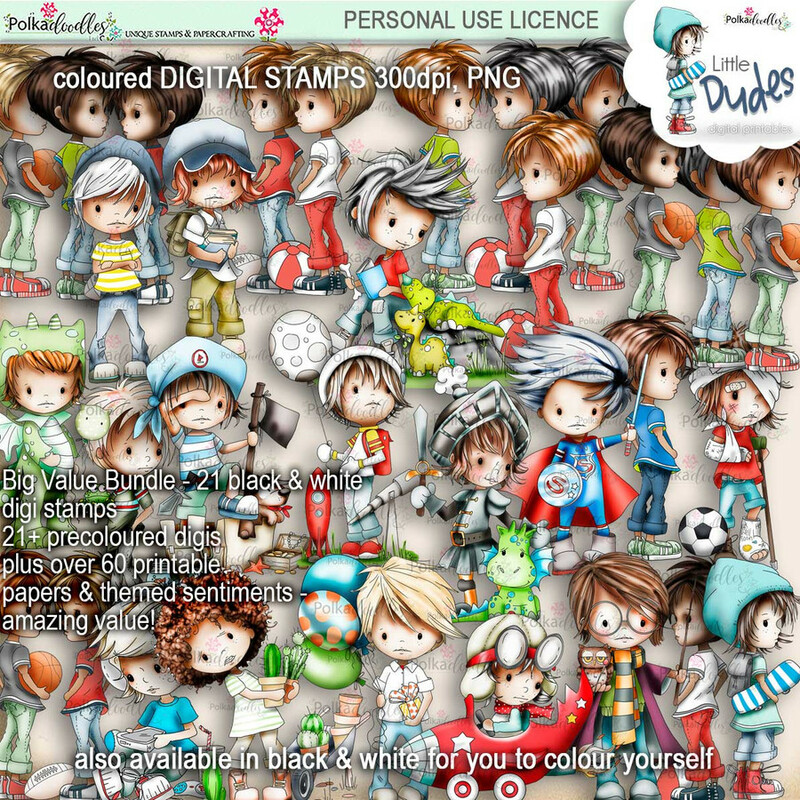 Please email us HERE, quoting the following code PD0wk220123 to claim your download voucher from the digi store. 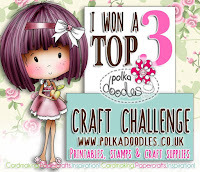 Closing date for entries: Fri 15th June, Noon. Max 2 entries per person, no backlinks. The winners of Week 21 are at the end of this post. Lucy - I have used an adorable image from Winnie Special Moments, and cloud background paper from Winnie Celebrations 1 - papers 2. 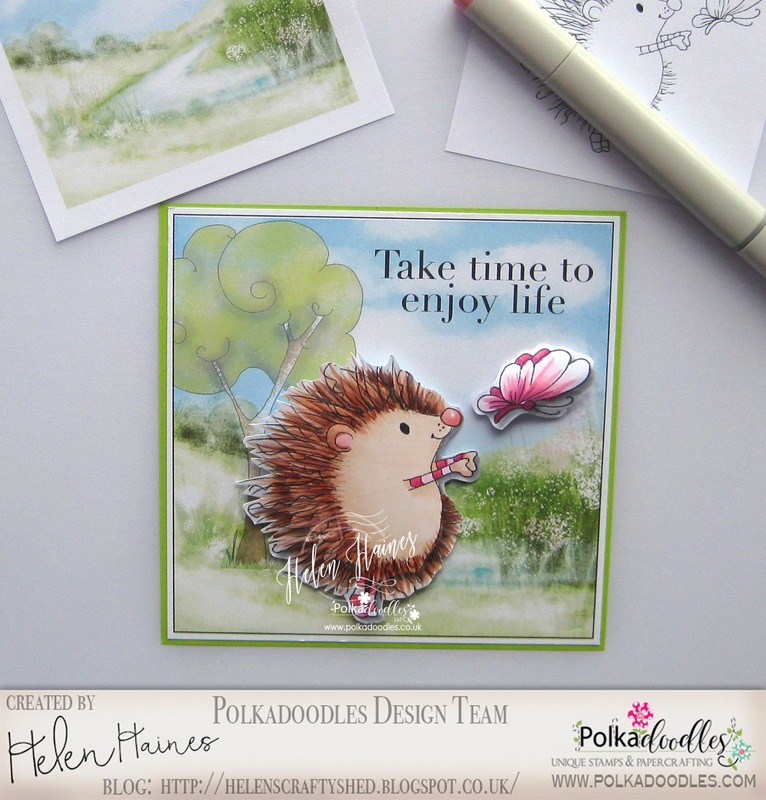 Helen - Hedgehogs just love a little Outdoor fun, playing around chasing critters and having a gay old time. Here's Earlie from the fabulous Fuzzypuffs collection and I've teamed her up with a background from the Horace and Boo collection. Hayley - I have used Skateboard from the Little Dude collection. 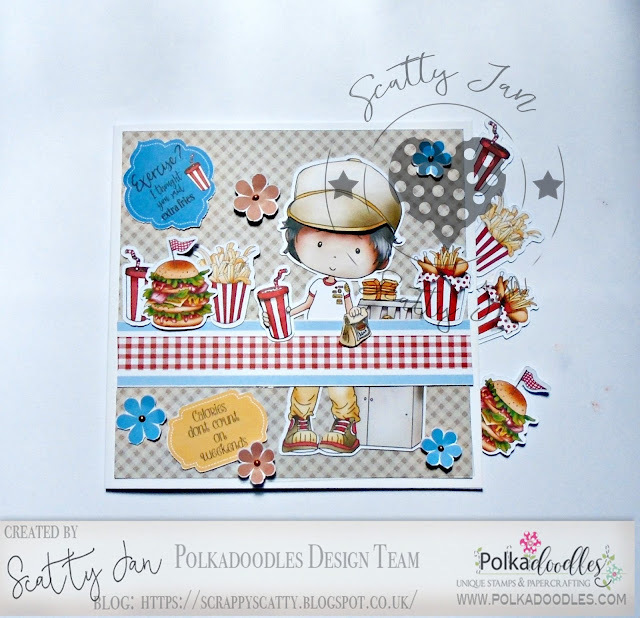 I thought this collection was perfect for the outdoor fun theme. 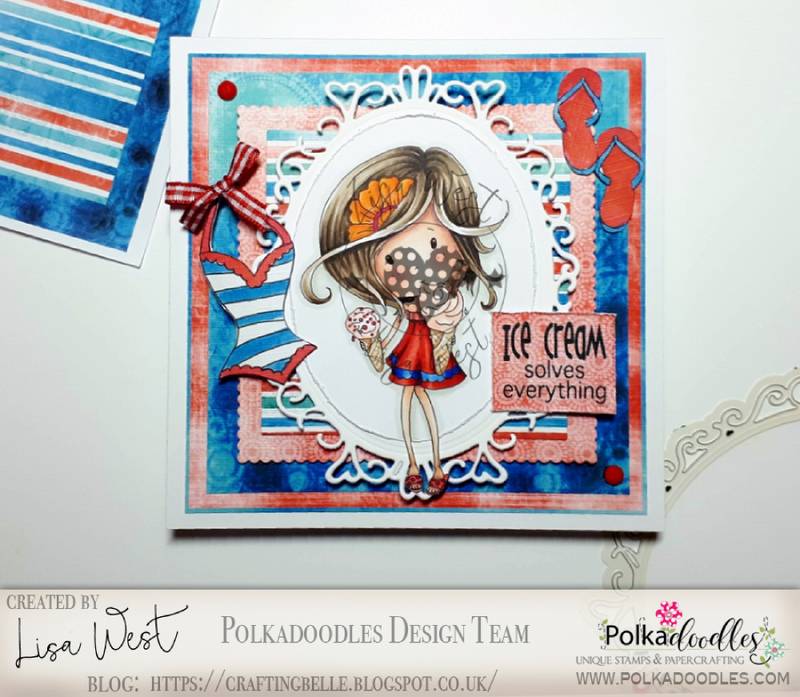 Lisa - I have used the Winnie Starfish & Sandcastles Download Bundle and what is better on a warm summer day than being outside and enjoying an ice cream? Shylaa - I used the digis from Summertime collection and Horace & boo collection in this card. For the background, i have stenciled the half portion of the cardstock with sunray stencil and distress ink. Then dabbed the other portion with festive berries distress ink.Then the coloured cardstock is diecutted using rectangle designer die. 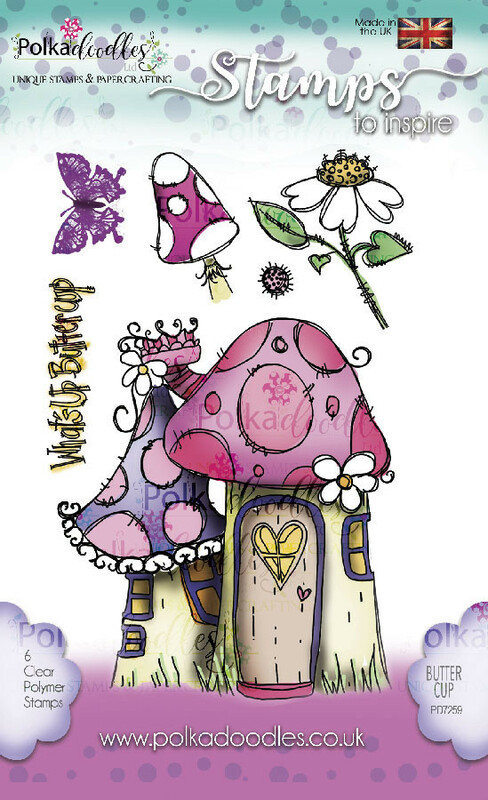 The digis are watercoloured and fussy cut then adhered to the diecut panel. Anna - What's more beautiful than playing with sand by the sea? Here is Winnie with her bucket intent on building a beautiful sandcastle! 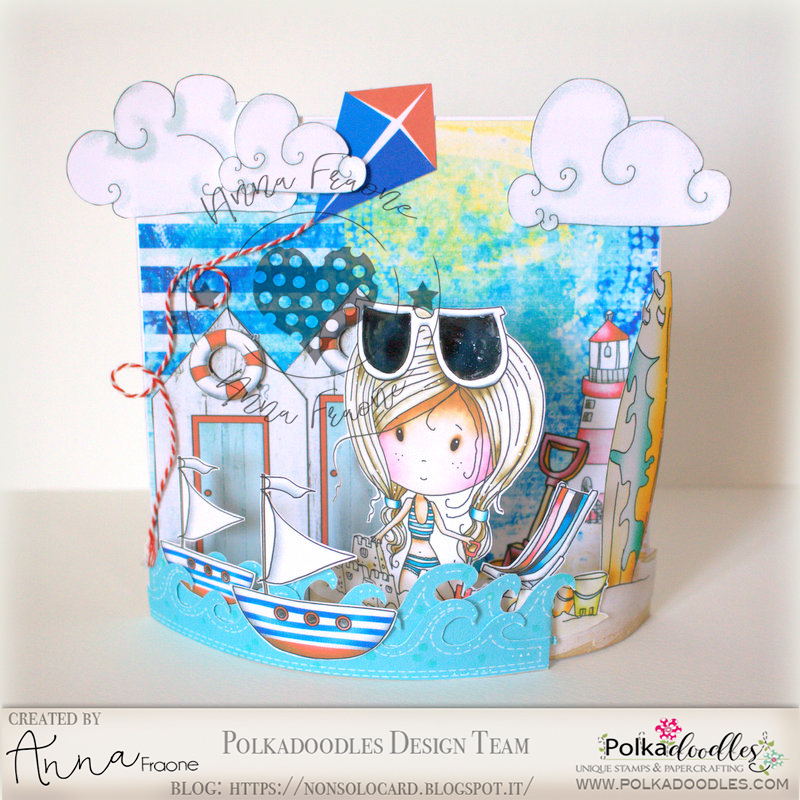 For my bendy card I used once again the beautiful collection Winnie Starfish/Sandcastles... it's fantastic for the summer and full of elements to create many different creations! Norma, when the weather is great outside, what a better idea to relax in the water? For my card, I used one of the images in the design sheets from Helga Hippo This collection is great for many occasions. Please email us HERE, quoting the following code PD0wk21001 to claim your prize of $10 worth of downloads from the digi store. 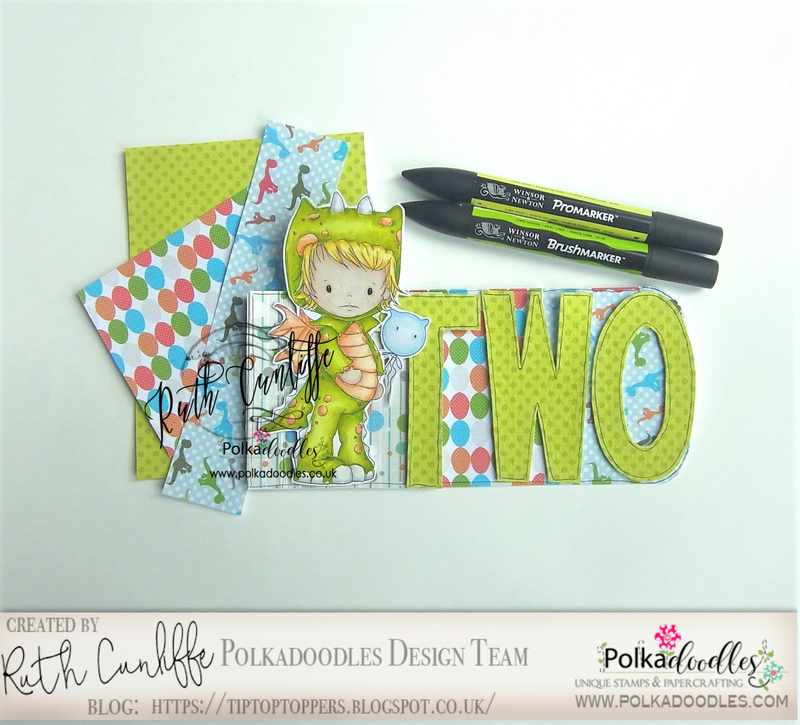 Claims must be received by 22/6/18, please refer to Challenge rules at top of blog. Please email us HERE, quoting the following code PD0wk210123 to claim your download voucher from the digi store.